I realize that news sites and tech blogs are in the business of link baiting and stimulating comments, with Business Insider being among the worst offenders. And haters on all sides seem to provide a never ending source of thoughtless re-posts and comments. With the iPhone and iPad, Apple dominates the mobile market. 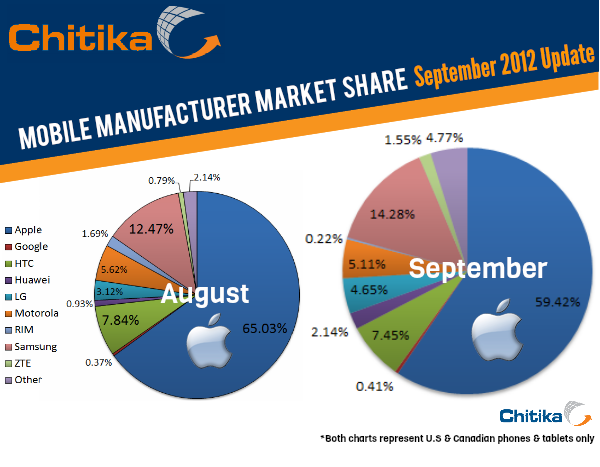 It will be interesting to see what these charts look like after the iPhone 5 has been out for a while.